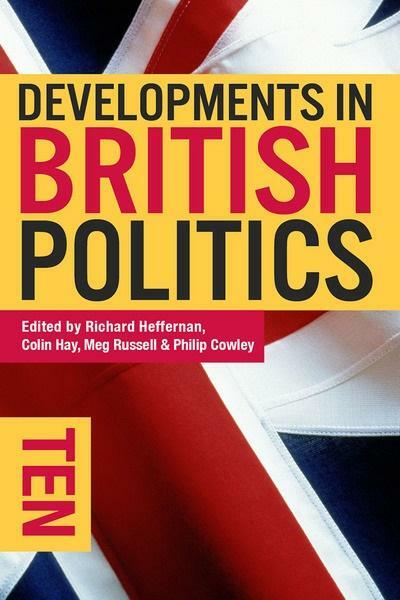 New book, "Developments in British Politics Ten"
Unit Director Meg Russell is one of the co-editors of the latest edition of the well-established and well-respected Developments in British Politics series, recently published by Palgrave. The book, targeted at advanced undergraduate/postgraduate students and interested general readers provides up-to-date summaries by leading scholars of many of the key aspects of British politics. Both Meg Russell and Unit Deputy Director Alan Renwick have chapters in the volume. Meg Russell's chapter, entitled 'Parliament: a Significant Constraint on Government', explores the role of parliament under the coalition government 2010-15 and during the first year of the 2015 Conservative government. Drawing on her work on the policy impact of parliament, it emphasises how the two chambers of parliament exercised significant influence of both a visible and less visible kind across this period. Alan Renwick's chapter is entitled 'Voting Behaviour and Electoral Outcomes', and looks at changes in voting patterns in the UK across time, linking to the variety of voting systems now in place across the UK's electoral institutions. Other contributors to the volume (several of whom have links to the Unit of various kinds) cover a wide range of topics including ideological politics, the party system, Britain's experience of coalition government, developments in the civil service, territorial politics after the Scottish referendum and Britain and the EU. The book is now available via the Palgrave website and other retailers.